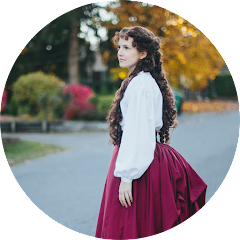 I have a page on this blog for the costumes I want to recreate and the other day I updated it.. Well it turns out I have lot of costumes I would like to make! I put together some collages with the costumes I would like to make the most. 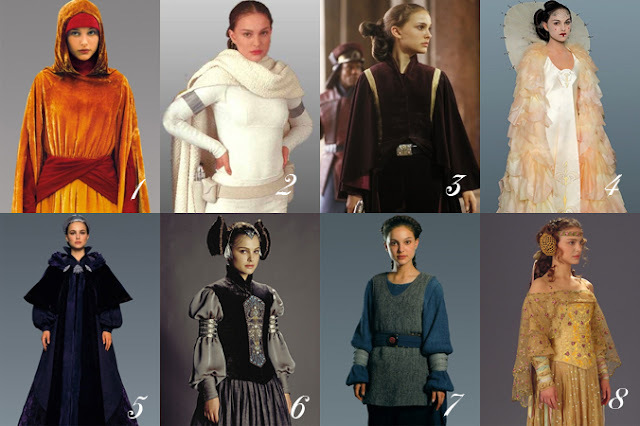 And now we come to Padme's costumes from Star Wars. 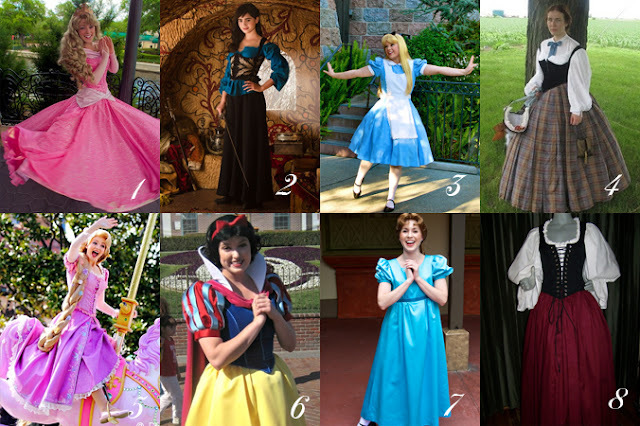 I narrowed it down to just 8, which was really hard to do. I mean who doesn't like her costumes? They're all amazing! I finished the Beru costume but haven't got pictures of the shirt yet. I want get some pictures soon, but I'm not promising anything because it's a pain to get it onto my sewing form because the material doesn't stretch and I had to take it off so I could work on my corset.